This is part 2 of my Windows XP Optimization article: Make Windows XP Blazingly Fast. The first article was meant as a detailed and thorough introduction to speeding up Windows-based PC's in a way that makes it easy to follow, without getting too specific. So make sure you read that first, and pay the most attention to freeing up RAM, CPU, and Disk IO speed by reducing the number of services and processes that are running, we will deal with defragmentation, hard-drive speed, Disk IO, Prefetching, and Pagefile/Registry Defragmentation now. This article has some really really really great stuff for ya. It shows which tools (all but one completely free) are the best and you will use them for a long time, they are all very good. That is just a side benefit, as this article is really more of a step-by-step guide to optimizing your system that won't have to be repeated for at least a year. The result of course is a much more responsive PC. In case you don't already know . . . What is SpinRite? After writing that article I continued my research and testing into the subject on my personal computers. I wanted to test out several additional programs and methods before I wrote about them for you guys, and I found a few really sweet additions that had a very big performance gain for all my computers, from my oldest and slowest PC's to my new 4K power laptop. This article is primarily focused on optimizing your hard drive data and improving your Disk IO speed, and you will definately see an improvement in speed. It doesn't get REALLY good until the defragmenting section.. The first step is to clean up all the extra, temporary, and unneccessary files cluttering your hard-drive. The reason is because we will be defragmenting your hard-drive like its never been defragged before, then we are going to go over every single bit and byte of your hard-drive to optimize the physical sectors and storage of your data.. Also we will be running a check of your registry and cleaning out bad links and other slow errors, so get it as clutter-free as possible. DON'T use Windows built-in folder compression, it makes defragmentation worse... DO use 7-zip or winrar to create a solid archive file of any misc directories with a bunch of files... You only need one program to clean your system. CCleaner is a Small, Fast and Free software that removes unused and temporary files from your system and allows Windows to run faster, more efficiently and gives you more hard disk space. I've now been using it for several months and love it. As well as cleaning up old files and settings left by standard Windows components, CCleaner also cleans temporary files and recent file lists for many applications. Including: Firefox, Opera, Safari, Media Player, eMule, Kazaa, Google Toolbar, Netscape, Microsoft Office, Nero, Adobe Acrobat Reader, WinRAR, WinAce, WinZip and more... Google Chrome, Opera, Safari, etc.. The registry is Windows biggest mistake, (although I'm sure they like it), and basically holds all the information for your programs and Windows. Things like the size of your windows, recent file lists, icon files for different icons, etc.. I've never seen a computer that didn't have some registry issues, so this needs to be cleaned and may have a huge impact on your speed. Real quickly, here are some programs to backup and restore your registry, optimize and defrag your registry, and finally search and clean any errors in your registry. ERUNT is a Registry Backup and Restore utility for Windows NT/2000/2003/XP. I use this to backup my registry automatically or on command.. Ive used it for years and it's always good to backup before you do anything. NTGREGOPT is a Registry Optimization tool for Windows NT/2000/2003/XP/Vista that minimizes the size of your registry files by simply compacting the registry hives to the minimum size possible. Registry files in an NT-based system can become fragmented over time, occupying more space on your hard disk than necessary and decreasing overall performance. You should use the NTREGOPT utility regularly, but especially after installing or uninstalling a program, to minimize the size of the registry files and optimize registry access. 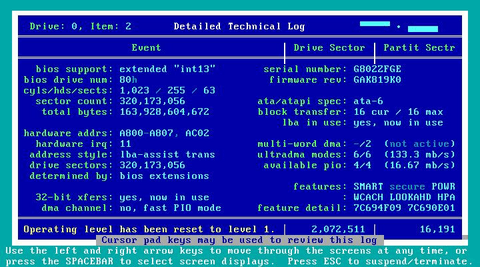 The program works by recreating each registry hive "from scratch", thus removing any slack space that may be left from previously modified or deleted keys. It does NOT change the contents of the registry in any way, nor does it physically defrag the registry files on the drive. I recommend using this once every couple weeks. I scheduled it to run automatically. I say "Ultimate Defragmenting" because this is the result of a lot of testing of all the various defragmenting software out there, reading a lot of documentation, and running benchmarking to find the fastest results. This is a mix of several individual defragmenting steps combined for a once-a-year ultimate defragmenting session. This is what I use today, and although it's altogether a long process, each step you'll add a new tool or skill that you can use by itself from here on out. ATTENTION: While running MyDefrag/JkDefrag, SpinRite, and UltraDefrag your computer can get very hot and that is very not cool. I set my laptop on a coke can and pointed a small desk fan at it which kept it very very cool, so do what you can to minimize heat during these programs. PageDefrag uses advanced techniques to provide you what commercial defragmenters cannot: the ability for you to see how fragmented your paging files and Registry hives are, and to defragment them. In addition, it defragments event log files and Windows 2000/XP hibernation files (where system memory is saved when you hibernate a laptop). One of the limitations of the Windows NT/2000 defragmentation interface is that it is not possible to defragment files that are open for exclusive access. Thus, standard defragmentation programs can neither show you how fragmented your paging files or Registry hives are, nor defragment them. Paging and Registry file fragmentation can be one of the leading causes of performance degradation related to file fragmentation in a system. I personally keep this enabled for every boot, as it only takes a few seconds after the first time it's run. After trying out dozens of degragmenting programs, this is my favorite. I utilize the cool screensaver function and just run sometimes when I'm calling it a day. Many users start looking for defragmentation/optimization programs when their computer becomes slow. The main reason for a slow computer is a full harddisk. A full harddisk is slow because the distance between files is greater than on a fresh practically empty harddisk. Deleting half the data on a full disk will just about double the speed. The more free diskspace, the faster your computer will be. Buy a second harddisk (for example an USB harddisk) and move little used stuff from your primary harddisk to that secondary harddisk. The second disk can also be used for backing up the primary disk. When buying a new computer, buy the biggest harddisk you can afford. Investing in a bigger harddisk gives more speed-per-dollar than investing in a faster CPU or investing in more memory. Cleanup old junk from your harddisk before running MyDefrag. You can clean Windows files with for example "Start -> Programs -> Accessories -> System Tools -> Disk Cleanup", or with something like the freeware CCleaner program. Reboot before running MyDefrag. This will release files that are in use, so they can be defragmented and optimized. Boot into Windows safe mode by pressing F8 when booting, and then run MyDefrag. It will be slower because the Windows disk cache is off in safe mode, but MyDefrag will be able to process (a few) more files. 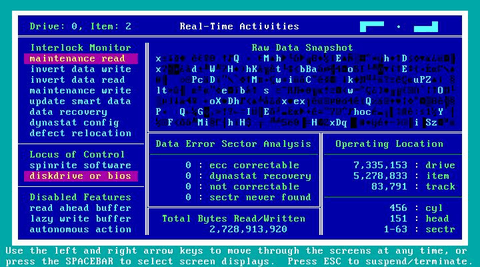 Stop your real time virus scanner before running MyDefrag. 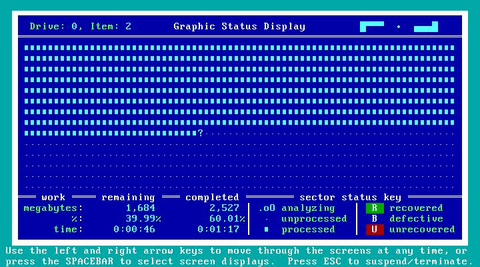 Virus scanners check all disk activity, making defragmentation and optimization very slow. Move the swap file to another volume, reboot, defragment, and move the swap file back. If you don't have a second volume then temporarily make the swap file small, for example 100Mb. Package unused files with a packager such as 7-zip. The packagefile not only takes less harddisk space, but will also defragment and optimize much faster than the individual files. Note: This does not apply to Windows NTFS compression, which will actually make defragmentation and optimization slower. 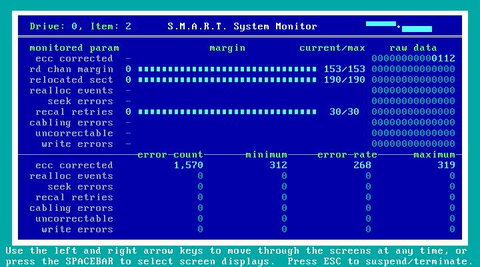 The first partition on a harddisk is significantly faster than other partitions. Try to use other partitions only for data that is used less often, such as music, movies, archives, backups, logfiles. If you have 2 physical harddisks of the same speed, then place the pagefile on the first partition of the second harddisk. The way I recommend is to run MyDefrag at the highest level of defragmentation once, which took my fastest PC almost 30 hours. Once that is done you can just run it normally in 20 minutes or so.. This software also has the best defrag information I've found to date, so check out the documentation on the site. UltraDefrag is a powerful Open Source Defragmentation tool for Windows Platform. It is very fast, because the defragmenting is done via the kernel-mode driver. There are three interface available : Graphical, Console and Native. I personally like the MyDefrag more because I think it does a better job, but I also use the UltraDefrag tool because it has one very important feature like the PageDefrag tool. It has a native version. That means it can run before Windows loads up by utilizing the bootexecute, the same place that windows chkdsk runs at boot. It also can takeover for Windows builtin prefetcher, to speed up the loading of frequently used programs, which I'll explain a bit later. I set ultradefrag up after the MyDefrag 30hour defrag completes, to run at boot and control the prefetching, then I erase any prefetch files currently saved and reboot which lets it defrag the system. Once both MyDefrag and UltraDefrag have run THEN I finally login to windows and don't open any programs to let the windows OS files get optimized by not doing anything at all for 5 minutes.. Then I reboot and log back in and this time I don't do anything for 30 minutes and reboot. Finally I log back in and this time I instantly load up 10 of my most frequently used programs, (DreamWeaver, Photoshop, Firefox, Chrome, Notepad2, Thunderbird, Internet Explorer, and a few others) and once they are all loaded I don't do anything for an hour. Then I reboot and repeat that same process. This may seem odd or made up but I do my research and this allows your prefetched files to be optimized, including your boot prefetch files. Once that is done I reboot and run all the defrags again. Then I reboot and am ready for the last step. Now at this point the system is defragged and optimized as much as I can get it, but the last step is to run a program to go over every single bit on our hard-drive-disk to keep the drive clean and healthy and its too technical for me to understand, I just know its amazingly cool and I noticed a big change right away. HD Tune is a fantastic little utility that you can use to benchmark the DISK IO speed of your various drives, internal and external, fixed and USB, firewire, etc.. Other than using it to determine your fastest drives for moving your program files and temps to, I am just including it in this article because it is an awesome program that you will love. This is the last step in this guide, and was the one thing that surprised me the most in terms of how much of a speed improvement I noticed after using it. SpinRite is the most capable, thorough, and reliable utility that has ever been created for the long term maintenance, recovery, and repair of mass storage systems. SpinRite is not a drive defragmenter. SpinRite operates with the drive's built-in intelligence to reassign and relocate defective sectors without creating file system fragments. Thus, running SpinRite does not create fragments, but neither does it eliminate any that may exist before it was run. Unlike any other disk utility, SpinRite interfaces directly to the hard disk system’s hardware, rather than working through the system’s operating system or BIOS. FAQ. The way that we use SpinRite in this article is method #4, Drive Maintenance mode, which reads and writes and verifies every single sector and area of your hard drives, and improves the health of your hard drive a lot. Even on my new 4K dell power laptop, this had a noticeable improvement on speed. After running this 20+ hours for my fastest PC, I rebooted, defragged with jkdefrag, and that is the end of this article. 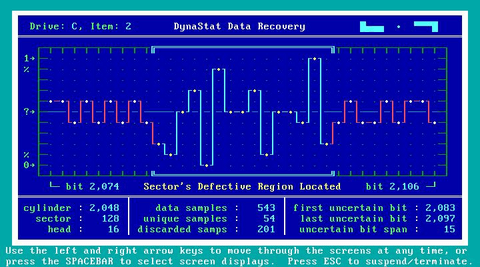 SpinRite is a stand-alone DOS application that specializes in the recovery of marginally or completely unreadable hard and floppy disk data, and in the lifetime maintenance of PC mass storage devices. It earned its stripes many years ago by introducing the concept of non-destructive low-level reformatting and sector interleave optimization. Since then its capabilities have continued to broaden until it has become the premiere tool for disk data recovery and magnetic mass storage drive maintenance. Written in assembly language, SpinRite still performs as well on a clunky old 4.77 megahertz PC/XT as on a screaming 333 megahertz Pentium II.